Amber Boutique Hotels again recommended in the Michelin guidebook. Thank you so much for the award again! We are pleased to inform about Tripadvisor Certification of Quality 2015. Thank you! This certificate does not need to any introduction to travellers. For us, it is one of the most important distinctions because given by our guests. Thank you! 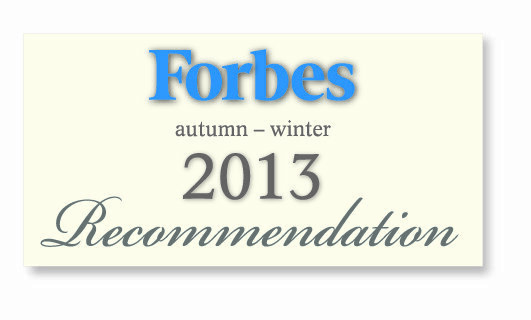 We are pleased to announce that our Hotels included in the prestigious Forbes magazine. We are pleased to announce that in 2012 our hotel has been awarded the "Gold Standard" This award is given to exceptional hotels that implement in practice the demand, "the guest is the most important" It has long been the standard measure of hotel or restaurant is the number of stars or obteined industry certifications. For many companies, however, remains the highest criterion of customer appreciation. Award "Gold Standard" is a guarantee that the services provided at the hotel are high, service is friendly and welcoming and the atmosphere prevailing at promotes relaxation and rest while taking care of the guests is particularly important for the hotel. Certified facilities must meet requirements including: quality of service, level of communication in foreign languages, the availability and attractiveness of the promotional offer. The best hotels are not only a high standard, but also a unique, friendly atmosphere. We are very pleased that our daily activities are reflected in your satisfaction and opinions. 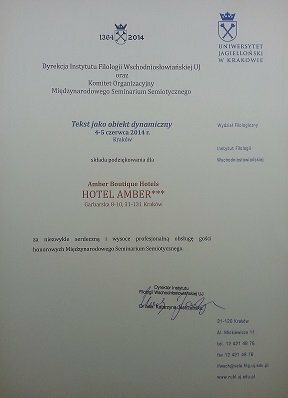 We are pleased to announce the accession of Hotel Amber nationwide campaign to "Family Friendly Hotel". 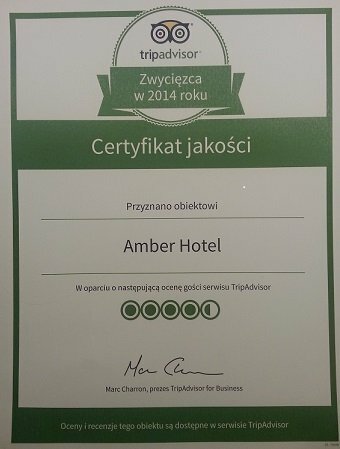 We are pleased to announce the accession of Hotel Amber nationwide campaign to "Family Friendly Hotel". Our hotel is a place that makes it ideal for peace, comfort and security to families with children. Throughout the day, all the kids can hang out in the playroom, where we have crayons, coloring books, toys, board games and educational books. Concerned about the health of our guests have current telephone numbers of doctors and nurses as well as to the nearest pharmacy. We are pleased to inform you that our hotel was recommended on GUFIK program as a Friendly Places for Children. Facilities for children at the highest level make our hotel comfortable place for families: separate part of the facility, caring for a child, friendly atmosphere and many others attractions.